When astronauts return to Earth from destinations beyond the moon in NASA’s Orion spacecraft and splashdown in the Pacific Ocean, they’ll still need to safely get out of the spacecraft and back on dry land. 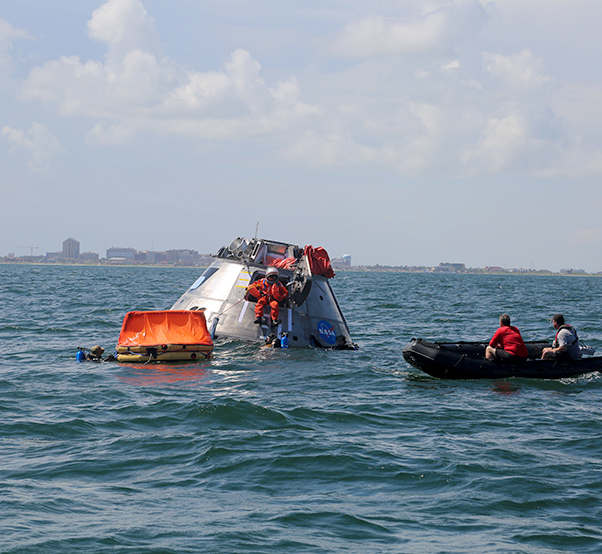 Using the waters off the coast of Galveston, Texas, a NASA and Department of Defense team tested Orion exit procedures in a variety of scenarios July 10-14. 2017. During the crew egress testing, a joint team from the Orion and Ground Systems Development and Operations programs, along with assistance from the U.S. Coast Guard, Navy and Air Force, evaluated how the crew will get out of the capsule with assistance and by themselves. NASA is developing multiple methods to get the crew out of the spacecraft on the day they return home, which gives recovery personnel and mission controllers flexibility to account for the crew’s health, weather and the condition of the recovery personnel and equipment in the area in real-time. Orion is designed to sustain a crew that has splashed down in the ocean for up to 24 hours. 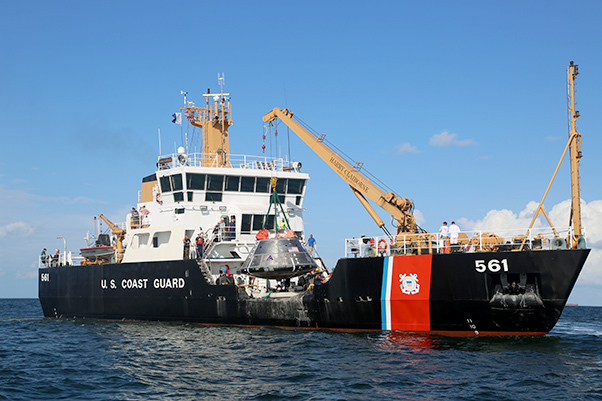 When the capsule and its crew return from deep space missions, during one recovery method, small boats of Navy personnel will arrive soon after landing. They will assist the crew as they exit through the side hatch of the capsule and onto rafts, and take them and the capsule back to an awaiting Naval ship. Crew members must also be prepared to get out of the spacecraft’s if conditions aren’t as favorable. If the capsule were to land off course and recovery teams were not expected to arrive quickly, or water intrudes into the crew module before they arrive, astronauts must be prepared to get out of the spacecraft alone. NASA also is evaluating how well crew members can get out of the spacecraft within three minutes and into a raft by themselves, without the assistance of recovery personnel. On human missions, Orion will be equipped with such a raft and a few additional emergency supplies such as water, tools and signaling mirrors, should the crew ever be in a situation where a team of recovery personnel is not immediately available to assist them. Astronauts and engineering test subjects wore Orion Crew Survival System spacesuits, modified versions of NASA’s orange Advanced Crew Escape suits in development for use during Orion launch and entry, making the testing as true to mission scenarios as possible. The testing builds upon the development and execution of recovery procedures practiced in the Neutral Buoyancy lab at NASA’s Johnson Space Center in Houston, a 6.2 million-gallon pool that is used for astronaut training and provided a calm environment for initial testing. 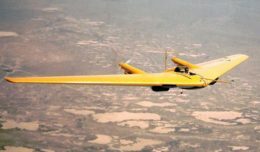 Engineers expect to conduct additional future crew egress testing in open water. Orion will send astronauts farther into space than humans have ever traveled before. While engineers are currently building the spacecraft for Orion’s first uncrewed flight atop the agency’s powerful Space Launch System rocket, NASA is working hard to develop and build the spacecraft elements, tools and techniques required to ensure a safe, successful journey when astronauts fly on the spacecraft beginning with Exploration Mission-2.